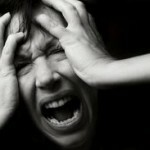 Night time or nocturnal panic attacks are the attacks which awaken a person from middle of his/her sleep. During nocturnal panic attack, the person suffers from shortness of breath, sweating and heart palpitations. Averagely, nocturnal panic attack persists only for ten minutes but many patients are deeply troubled by it as it takes them a lot of time in lightening up and getting back to sleep. 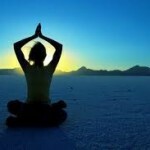 People having anxiety or other psychological disorders are likely to have nocturnal panic attacks. There are so many herbal remedies available for the cure of Nocturnal panic attack. One of them is Linden flowers remedy. Linden is a special kind of herb that is obtained from Tilia tree which is also known as Lime tree. Linden relieves anxiety and relaxes you. In olden days, the tea of Linden flower was known as “Kings’ nectar” because it is very good for health and has got sweet taste. Linden flower tea is helpful in reducing fever, inducing relaxation, combating insomnia and has also proved to be effective in nocturnal panic attacks. 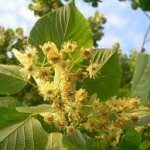 Flowers of Linden tree have a lot of medicinal ingredients that are used in many medicines and herbal products for treating many diseases and psychological disorders. If you are suffering from nocturnal panic attacks and want to get rid of this psychological disorder then there is a tea made by using Linden flowers which is useful in promoting relaxation and relieving anxiety. You can easily make Linden flower tea at your home, all you have to do is put 5 to 10 grams of fresh or dried Linden flowers into a container containing 500 ml of boiled water. Now cover the container for about 10 minutes in order to steep the Linden flowers. After 10 minutes, your Linden flower tea will be ready to take. 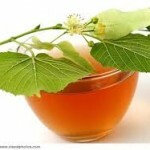 For better and long lasting results, Linden flower tea is recommended to be taken three times a day and for 6 months. More than required consumption of linden flower may lead you to heart damage. Linden flower can increase concentration of the lithium in the blood. 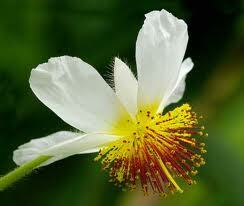 So, always use Linden flower with the advice of doctor. Children are not likely to suffer from psychological problems like nocturnal panic attacks, hypertension and sleep disorders therefore; Linden flower should not be given to children under 18. Adults should also consult their doctor about Linden flower intake. If you have got any type of heart disease then it is recommended not to take Linden because it may worsen your disease. Breast feeding and pregnant women should not take Linden without consulting their doctors. As Linden flower has relaxing and calming effect; it is used to treat sleep disorders and nocturnal panic attacks. Normally, Linden flowers are used after getting them dry under the shade. Sometimes the inner bark of Linden flower with sapwood is used because it has an ability to decrease high BP (blood pressure). The use of oil made up of blossom of Linden tones your venous system and helps you in sleeping. Not only the internal use of Linden flower tea helps in curing hypertension and treating nocturnal panic attack, but its external use in the form of bath is also beneficial in this regard. Just add 3 handfuls of the Linden flowers in boiling water, steep them for around ten minutes and then pour the tea into your bath tub and start enjoying its calming and soothing effect on your body.